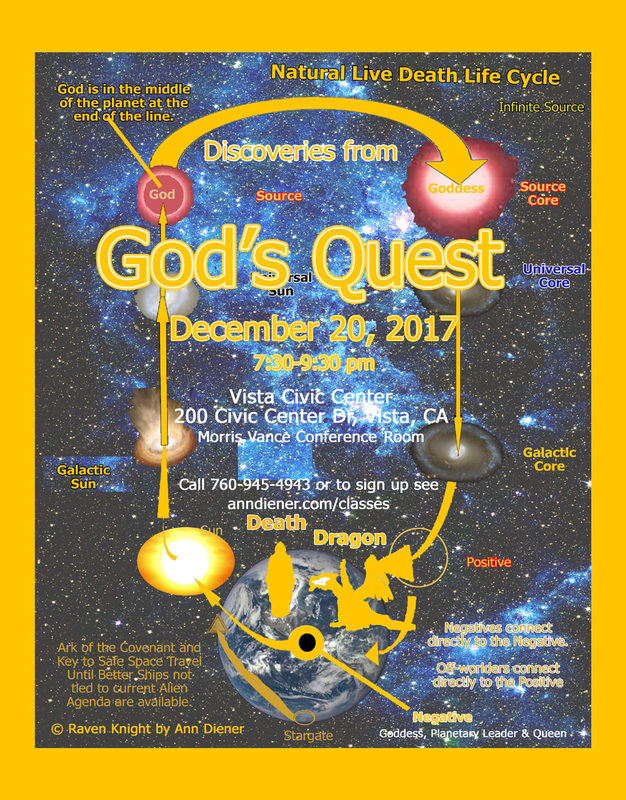 Upcoming Event: Discoveries from God's Quest, God, Nature and the Cosmos - Ann Diener, PEACE STRATEGIST & News. I serve American citizens. The project started through revoking agreements in an effort to save the planet. 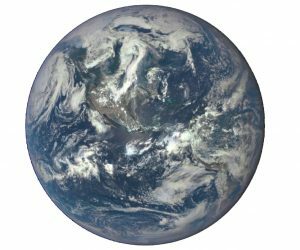 Ann Diener, a Featured Columnist for Veterans Today saw an image of a brown planet after years of working against terrorism on her spare time and decided to do whatever it took to save the Planet. 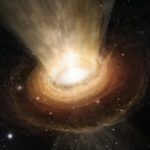 For weeks she used revoking agreements to clear old negative agreements and the method found in Cameron Day’s article, “Why I am not a Lightworker.” She had been revoking agreements for a few years to get to all of the negative contracts at the Galactic Core level. After writing an environmental article, including the brown earth image, Diener continued for hours each day to clear the agreements until words actually started disappearing on paper. 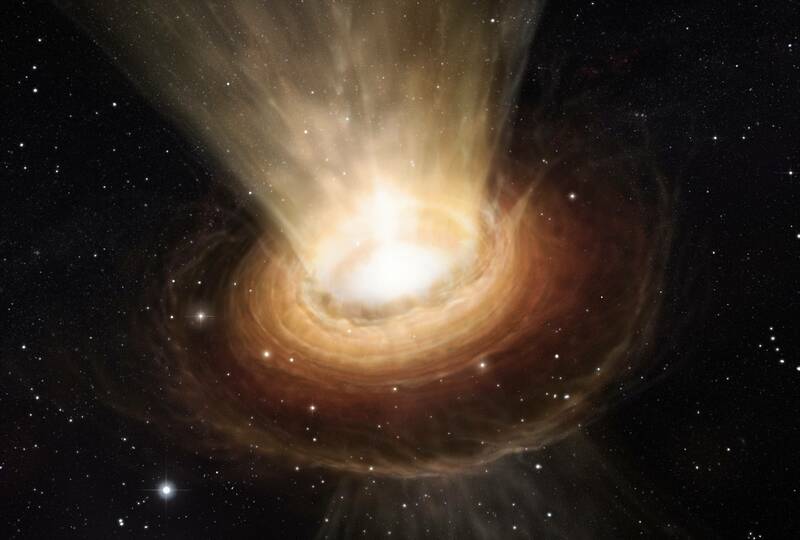 Once clear, the clear pathway to God through the Cosmos could be found and an awareness of God as the Cosmos and Infinite Source was found to be the correct pathway to God, All That IS. Nature is extremely important to our God Connection and in fact, Nature enabled Diener to survive many times when being attacked viciously. During her journey, she found the use of Native American herbs to be very effective for bringing in Positive energy to replace the dark energy she was faced with. Myth and legend have held back humanity from discovering its true connection through Nature and the Cosmos and also identifying harmful alien species. Diener has also worked with positive Individuals From Other Star Systems (IFOSS) and has been in the process of integrating Divine Light for Off-Worlder ships. Nasty white ones tend to become a gelatinous material that when exposed to Diener become like white splotch paint on clothing. Other harmful species become re-integrated into bugs, such as a rare blue bug that looks like a dragonfly without side thrusted wings, and wildlife such as roadrunners. The most thing that happened to her is that she was able to make amends with another member of our Galactic Star Family called Draconians which become small gnats when they are on the Planet. They are highly intelligent and very nice when using telepathic speech. Back in 2001, she was contacted by the Department of the Navy to connect the Draconians to God which like a watching a filmstrip roll by in her minds eye. This went on for many days. Sadly, these beings were actually nice and kicked of the planet. Upon completing the war, a crescent shaped implant formed a pustule on her middle finger and she saw in her minds eye a large Enterprise like ship depart from our atmosphere. For years she felt like something was wrong with the exercise, so she set out to make amends and the Draconians who are back now helping to restore balance on the Planet. Off-Worlders must connect to the Positive which is the Sun to be here. The Planet’s Negative (ANN DIENER) is our Earth’s core which is molten magnetic material that also absorbs negative spells, dark magic and dark energy. We are in the process of being converted to Light Beings with new DNA strands that appear as beautiful sparkling DNA. There had been plots against our planet to actually sell our Negative which could be considered genocide and crimes against humanity as we would have lost the whole planet. Also there was a big piece of equipment that was removed from the Sun. This equipment could have killed our whole solar system. Our SUN now has the ability to heal itself. We are in the process of creating perfect alignment of all the Planets in our Star System. Love is the key to our relationship with off-worlders. Here is a copy of the updated December ad that is running in the December issue of The Life Connection magazine.